We receive dozens of emails a day to our careers company inbox. Most of these hinder rather than help a candidate that should be applying through our company website. However we received one email this summer that caught the attention of both upper management and our recruitment team. The email was engaging, clear and concise, and - get this - contained no spelling or grammatical errors! This may seem simple, but his email was better written than 90% of what we read from seasoned professionals. We brought Alec in to meet with a member of our Web Team for a 30-minute get-to-know-you and technical interview. After the interview, he offered to demo his Facebook Homework Bot (which he shared went viral in Thailand!) in our office lounge. This impromptu demo on a Friday afternoon fit our culture of collaboration and resourcefulness exactly. 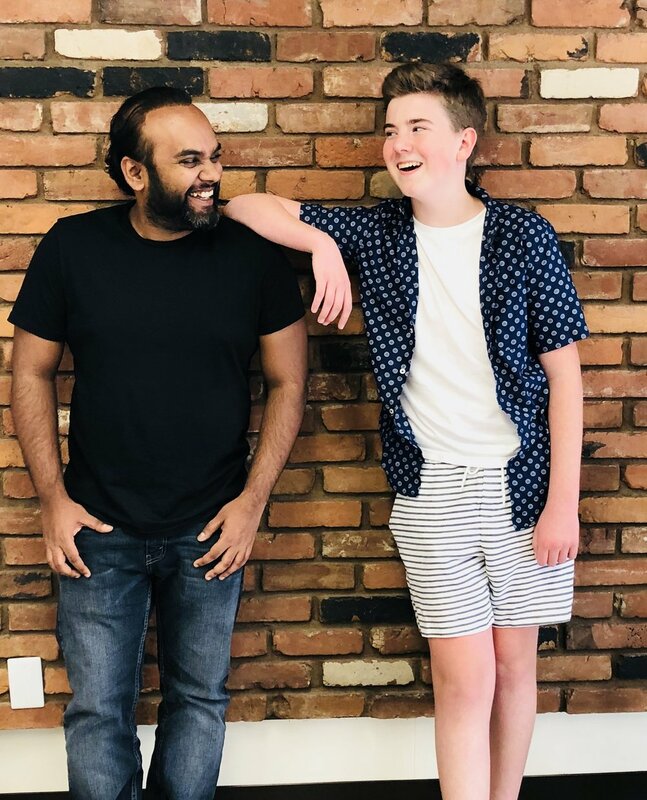 About 30 FreshWorks employees quickly gathered to watch his demo and - understandably - to meet this grade 11 student in our office. The confidence he showed in presenting his work paired with the humility he demonstrated in answering questions. He could admit how much more he had to learn which proved to us that - technical skills aside - he had the kind of spirit we work hard to foster that contributes positively to the FreshWorks culture. Alec ended up staying for 2 hours after his demo, seated with a soda in our kitchen, chatting with our team about the challenges a project manager can face when dealing with clients, learning more about the tech stacks we use, and sharing his experience of interviewing at FreshWorks from the candidate perspective. 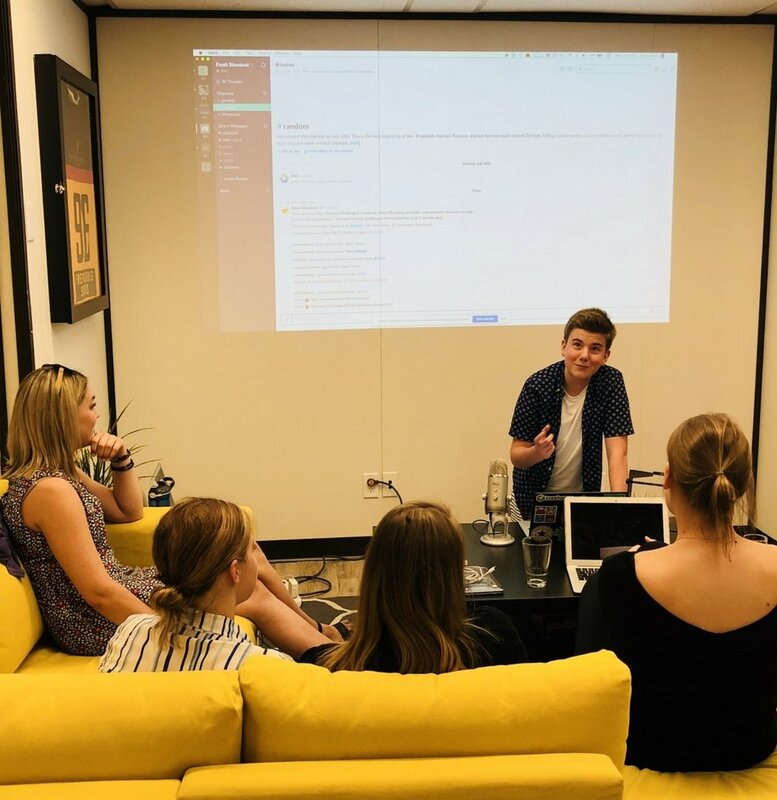 We offered Alec a one-month paid contract to build an internal Slack application for company use and assigned him a mentor for questions and help along the way. He had previously built another Slack application for sending multiple DM’s at one time but had not worked with our stack before. By quickly getting acquainted he showcased our core value of excellence during the course of his engagement. He proudly presented his finished application at our monthly Demo Day in front our 50+ employees and guests. Having Alec in our office truly showed us how our FreshWorks community can come together to share their knowledge and make a new-comer feel welcome. It’s amazing what your team can learn through teaching when given the opportunity. We’re sure glad that Alec took a chance on us when sending that initial email and you can bet that we’re glad we took a chance on him. Hear what's happening at FreshWorks, meet our team, and learn more about our projects by following us on LinkedIn, Twitter and Instagram. You can find Alec and hear about his next project (whatever that may be) on Instagram, Twitter, or Medium. 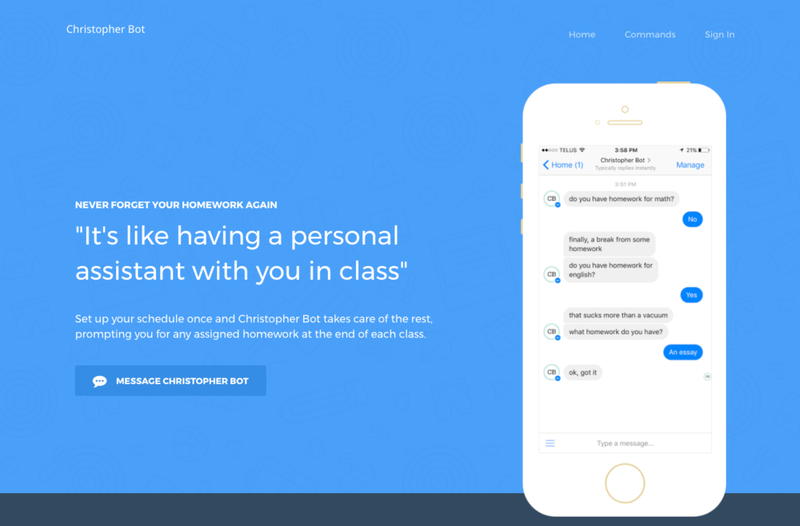 Want to know how Alec built a successful chatbot, signed up thousands of global users, and then received an acquisition offer while he was still 14 years old? Click on the picture to check out Christopher Bot! Alec didn’t stop after making ChristopherBot. Before coming to FreshWorks he completed a different Slack App. Older PostWhat is Nearshore App Development?